In the summer of 960, the great Byzantine general Nikephoros Phokas set sail for Crete. Occupied by the Arabs since 826, the island had become a nest of pirates who were the curse of the eastern Mediterranean, paralysing its economy. Nikephoros had been campaigning for years on the eastern frontiers of the Empire. The emirs of Aleppo, Tarsus and Tripoli had all been humbled. The youthful Emperor, Romanos II, had recently appointed him ‘Domestic of the East’, commander-in-chief of the forces of Anatolia. Confident that Nikephoros would finally re-take the island, Romanos had entrusted him with an overwhelming force, consisting of 307 warships and hundreds of smaller vessels, with 77,000 oarsmen and soldiers on board. Nikephoros swept through the island, killing a reported 40,000 Arabs, and laid siege to Chandax (modern Heraklion), their well-fortified capital. Both sides suffered terrible privations that winter, but in March 961 the Byzantines broke into the city. The Cretan emir was taken, along with the accumulated spoils of a century and a half of piracy. Nikephoros put the rest of the population to death and the city was burned to the ground. With the island restored to imperial rule, missionaries set about re-converting it to Christianity. It was the greatest Byzantine victory in centuries. Born in 912 into one of the great military dynasties of Anatolia, Nikephoros, known to his enemies as ‘the White (or Pale) Death of the Saracens’ was personally unprepossessing, with unusually long, curly black hair and a straggly beard. He was rough-mannered and sullen, and lived a remarkably simple, ascetic life, habitually sleeping on the floor. When not covering himself in glory on the battlefield, Nikephoros spent his time in prayer or consorting with holy men. A widower, whose only son had been killed in a tragic accident, he had taken a vow of chastity and hoped one day to become a monk. Instead, owing to Palace intrigue, Nikephoros was to be crowned Emperor in St Sophia on 16 August 963, following the death of Romanos at the age of 23. To ensure his legitimacy, he was married within the month to Theophano, Romanos’s widow, and became step-father to her sons, the co-emperors Basil and Constantine. Theophano, a publican’s daughter, was extraordinarily beautiful, but unprincipled in the pursuit of her ambitions. Romanos had been completely under her spell. Ill-matched with the dour Nikephoros, she took a lover, his nephew John Tzimiskes, who brutally murdered him on the floor where he lay in 966. He was buried secretly in the Church of the Holy Apostles. 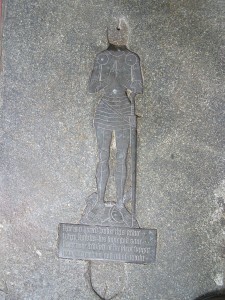 An epitaph attributed to John of Melitene was later circulated. It ends with a pun on Nikephoros’s name: ὠ πλην γυναικος τἀλλα δ’αὐ Νικηφορος (Mark Diederich Lauxtermann, Byzantine Poetry from Pisides to Geometres, Texts and Contexts, Vol.I, Vienna 2003, pp.305-16.) – which I venture to translate as ‘bringer of victory over all in turn, save a woman’. Nikephoros believed that he was fighting a ‘holy war’ against Islam, and that those who perished in it were martyrs, although this was a view rejected by the Church. During the siege of Chandax, he had summoned his old friend, Athanasios, to provide him with spiritual support. Athanasios, a native of Trebizond, renowned for his holiness, had abandoned a successful teaching career in Constantinople to become a hermit, and had settled in 957 on Mount Athos, in northern Greece. The promontory had long been favoured by hermits, as it had no other inhabitants. Thanks to the Cretan pirates, normal life there had become impossible. Nikephoros heaped plunder from Chandax on Athanasios, who used it to found a small monastery or lavra on the south-easternmost point of the promontory. 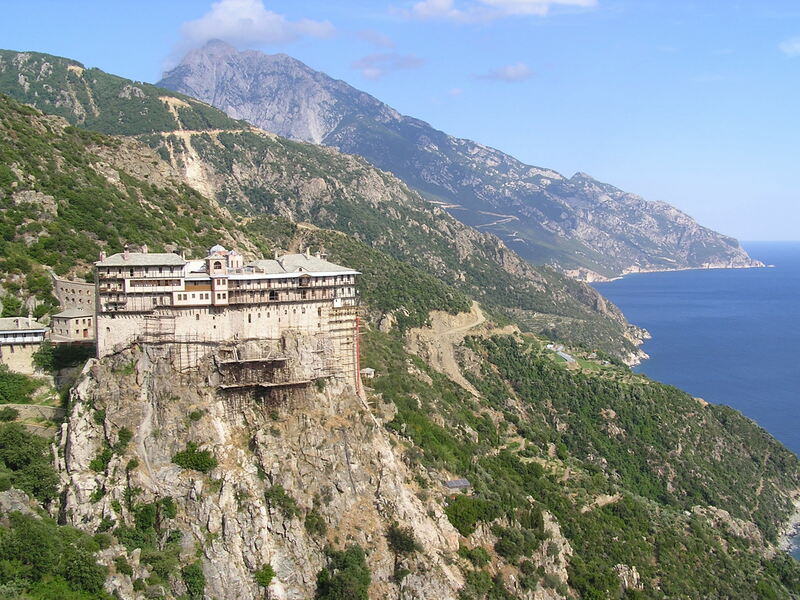 It was the first of many monastic houses on Mount Athos, as opposed to the sketai, or loose affiliations of hermits, that had existed before. Nikephoros had originally intended to join him there. Instead, as Emperor, he re-founded Athanasios’s lavra as an imperial monastery, endowing it with generous annual grants in money and in kind and with tax-free estates in nearby Chalkidiki. He even sent three holy relics from the imperial collection, including fragments of the True Cross. Athanasios’s humble lavra was thus transformed into ‘the Greatest Lavra’ (Μονη Μεγιστης Λαυρας), with accommodation for eighty monks, despite the objections of the hermits who were disturbed by the immense scale of the construction and by the fact that the new monastery had its own boat, an unwelcome connection with the outside world. Nikephoros, to whom the twenty surviving monasteries on Mount Athos all owe a debt, left no direct descendants, but has countless blood relations in Western Europe. His sister who married Theodoros Kourkouas was the ancestress of Maria of Bulgaria, wife of Andronikos Doukas. 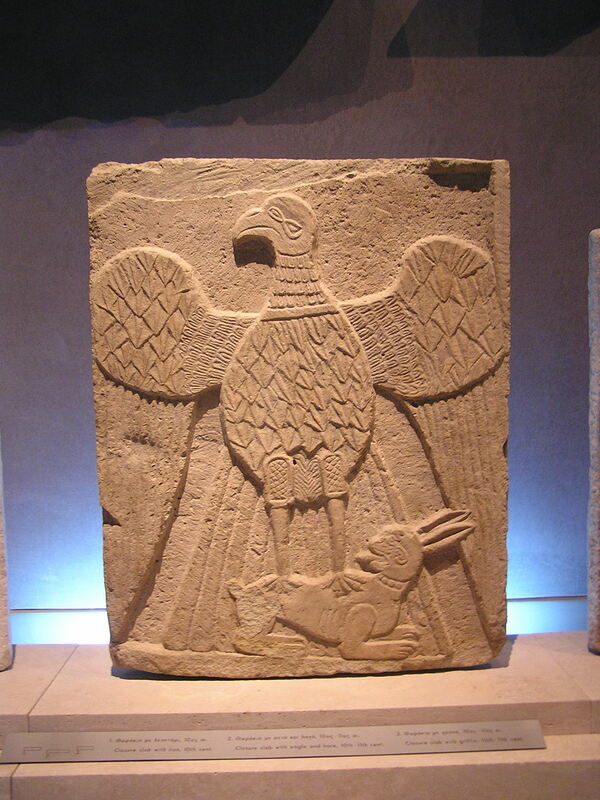 Their daughter, Eirene, was the matriarch of the Komnenos dynasty. Nikephoros’s brother Leon Phokas had a daughter, Sophia, who married Konstantinos Skleros, and was the mother of the famous Theophano, wife of the German Emperor Otto II. Leon had another daughter, married to a Botaneiates, who was the great-grandmother of the Emperor Nikephoros III Botaneiates (1078-81), and of his sister who married Theodoulos Synadenos. Their daughter, Synadene, married Gesa I, King of Hungary, who died in 1077. Through these three Byzantine women, there are innumerable well-established lines of descent to the present day. To travel on the Isle of Wight Steam Railway is to step back in time. I love the waiting room at Havenstreet with the piles of leather suitcases. The redundant station at Wootton has been reconstructed and looks like a typical country terminus of a hundred years ago. 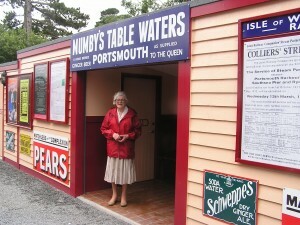 The station building itself is an authentic recreation of the pre-1920s one at Havenstreet, based on a photograph from 1905. The building is festooned with the same notices and advertisements as in the photograph, the most prominent being one for ‘Mumby’s Table Water and Home Brewed Ginger Beer, Portsmouth, as Supplied to the Queen’. I feel a flush of pride, as this was my grandmother’s family firm. It was founded by Charles Mumby (1823-1895) from Chatteris in Cambridgeshire, a pharmaceutical chemist, who settled at Gosport in 1844. An ancient sea-port that juts into Portsmouth Harbour, Gosport was a ‘well-built, handsome town’ with flourishing, thrice-weekly markets and a railway terminus, contained by ramparts and a moat dating from the 1750s. A remarkably personable and impressive young man, rather short, but muscular and very good-looking with his wavy blond hair, Charles went into business on his own in 1849, at 47 High Street. He was keen to diversify and, applying his skill with concoctions, soon set himself up as a manufacturer of mineral waters. To ensure the necessary supply of water, he sank a large bore-hole or artesian well in the large yard at the back of his shop, which had a rear access from North Street. At 384 feet, the well was deep enough to reach the aquifers in the chalk subsoil, for Gosport is almost surrounded by the sea, and penetrated by a number of salty creeks. His next step was to instal elaborate machinery to increase the output of manufactured ice. 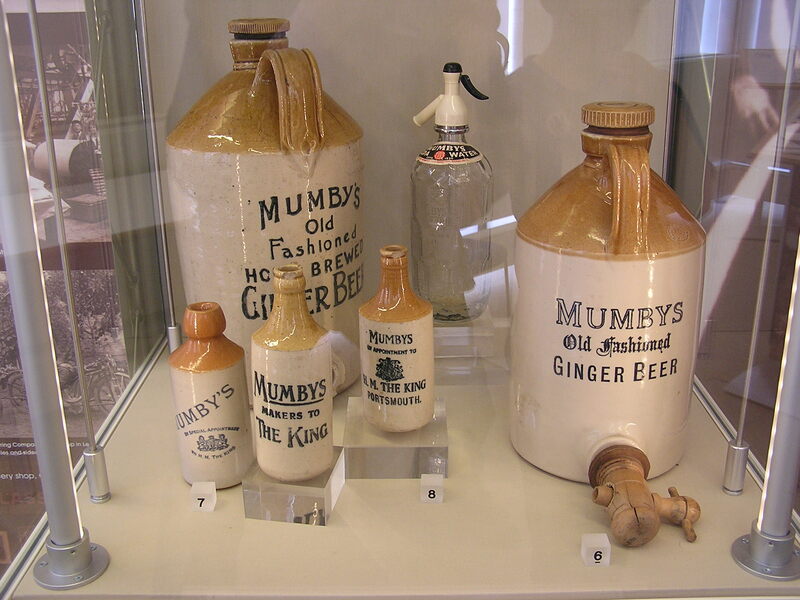 The fame of Charles’s soda water, ginger beer and lemonade spread rapidly across the south of England and within a few years he was supplying large quantities to both the army and the navy, which were traditionally victualled from Gosport. His crowning glory was to receive a Royal Warrant from Queen Victoria, Mumby’s being one of only four brands of mineral-water that were served at her table. Charles Mumby was a classic Victorian entrepreneur, a Nonconformist, as many of them were, commended for his ‘marvellous activity and energy, admirable business talent, sterling honesty and genuineness of purpose’. By then a rich and influential man, he became in 1864 a member of the Board of Trustees that governed the town. He was to serve for thirteen years (from 1881 to 1894) as Chairman of the Board, overseeing a vast improvement in the borough. Streets were widened, the old fortifications removed. Areas of open ground were acquired for recreational purposes, and a Free Library was created. Charles became a Poor Law Guardian, a magistrate, a County Councillor for Hampshire, and sat on innumerable public and social committees. The manufacture of mineral waters continued at his original premises in the High Street, and an office was opened up at Portsmouth, first at 71 St George’s Square, then, from the late 1870s, at 34 The Hard. Charles was a founder member of the National Liberal Club (where he rubbed shoulders with Gladstone) and Colonel of his local territorial unit, the Third Hampshires. Charles Mumby retired from the active management of his business in 1885. The chemist’s shop, reduced by this time to a sideline, was given up. His eldest son, Everitt, was appointed managing-director of the mineral-water company, from which he derived a good living, though he had neither the capacity nor the inclination for a career in business. It was Everitt who oversaw the public flotation of the company in 1898, an event which greatly enriched the family, and further allowed him to indulge his penchant for travel. 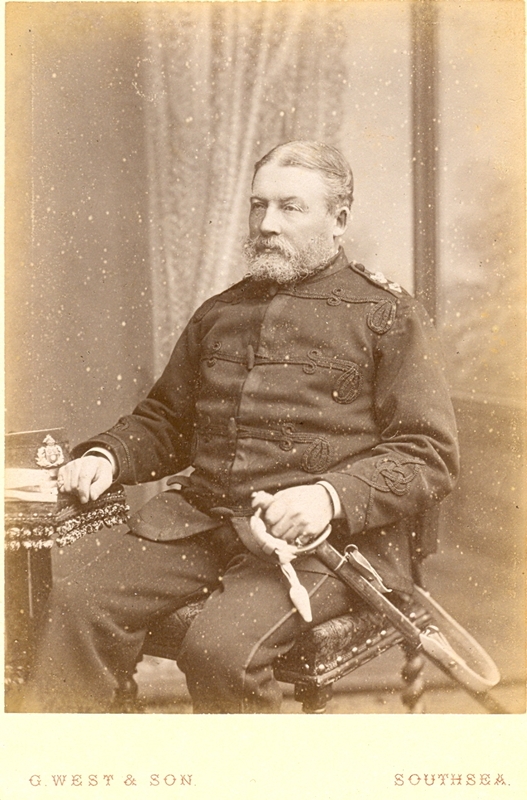 Everitt Mumby died in 1906, leaving a third of his majority holding in the company to his only son, Cyril, although the young man would have preferred a career in the army and held the rank of Captain in a militia regiment. When Cyril Mumby was appointed managing-director in 1907, the firm employed about a hundred hands (manual and clerical) in its two factories and had capital of £45,000. 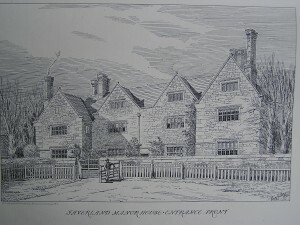 He installed himself in the finest house in Gosport, Stanley House (later known as ‘The Hall), next to Holy Trinity Church, on the edge of Portsmouth Harbour, and was the owner of an expensive motor-car and a yacht. Cyril’s good fortune ended in 1914. Serving with the First Battalion the Lincolnshire Regiment, he was severely wounded at the Nonne Bosschen. After the war, he was to make a new life on the Continent, resigning his directorship of the company in 1924. He died in 1938, by which time the company had been sold out of the family, though it continued until the 1960s to trade under the Mumby name. My mother recalls seeing its advertisements at the cinema in her youth. The prosperous, elegant Gosport that the family had helped to create was destroyed by a combination of the Luftwaffe and post-war planners. Nothing remains of the firm’s headquarters at 47 High Street, nor of its offices on Portsmouth Hard. Stanley House, my grandmother’s childhood home, was demolished in 1965 by a philistine local authority, which had already razed most of the surrounding area to the ground. The site is now an open space, hedged by two hideous tower blocks that are familiar landmarks to anyone passing in or out of Portsmouth Harbour. 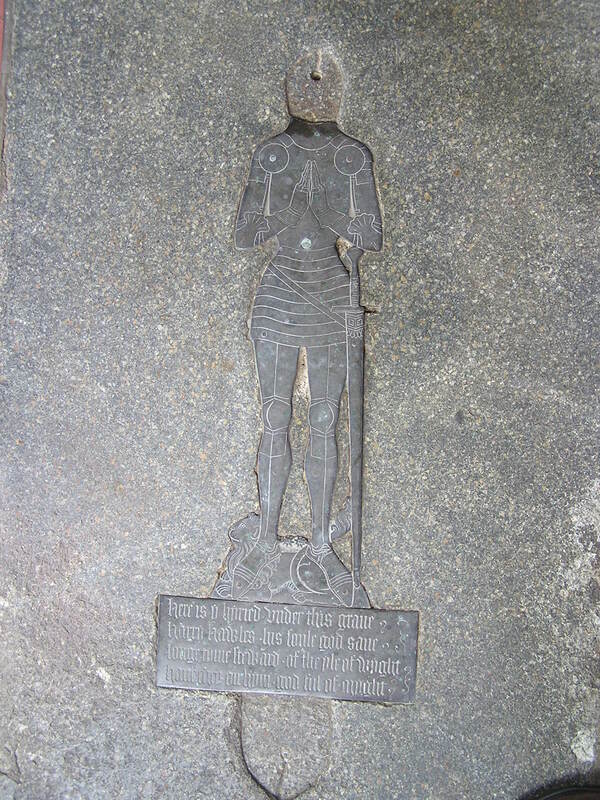 The coterie of Norman knights who surrounded Baldwin de Redvers, Earl of Devon and lord of the Isle of Wight, are revealed in the foundation charter for Quarr Abbey, dating from the 1140s. Many were granted estates on the Island and settled there, giving rise to all the most prominent local families of the medieval period. Among them were the Wavells and the Oglanders, who persist on the Island to this day. Together with Robert d’Orglandes, Godfrey de Wauville and others, a certain Warin de la Halla is mentioned in the charter, having endowed his chapel of St Nicholas to the abbey. 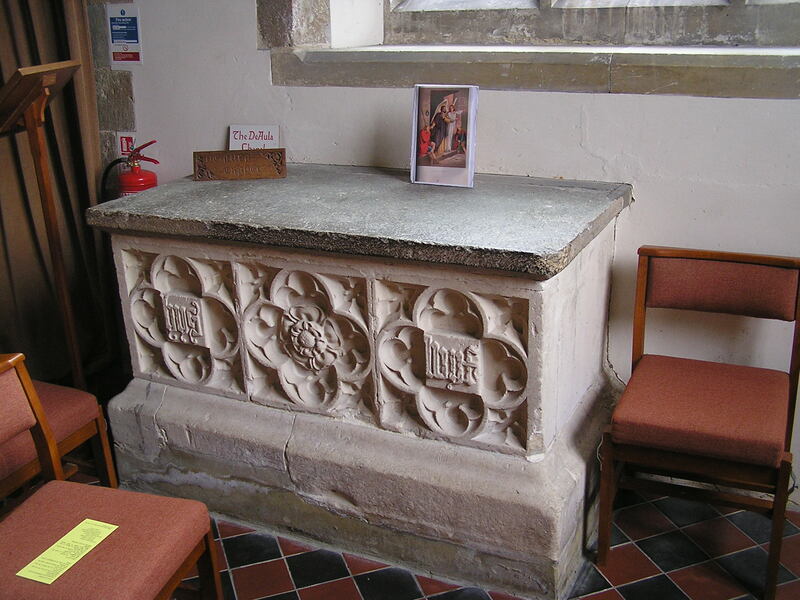 He was clearly in favour with Baldwin, from whom he held the lordship of Bampton in Devon, as well as land on the Isle of Wight, south of Carisbrooke Castle. 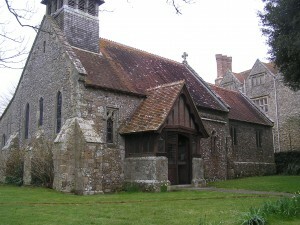 Warin was ancestor of the ‘De Aula’ family of Yaverland (meaning ‘Overland’ in the Island dialect), in the parish of Brading. 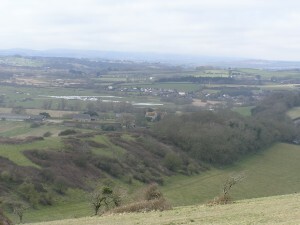 As its name suggests, Yaverland was virtually isolated on a spit of land under Bembridge Down. Cut off from the parish church by the tidal Brading Haven, the family built a chapel of ease there, with fine Norman features, alongside their sturdy manor-house of stone. 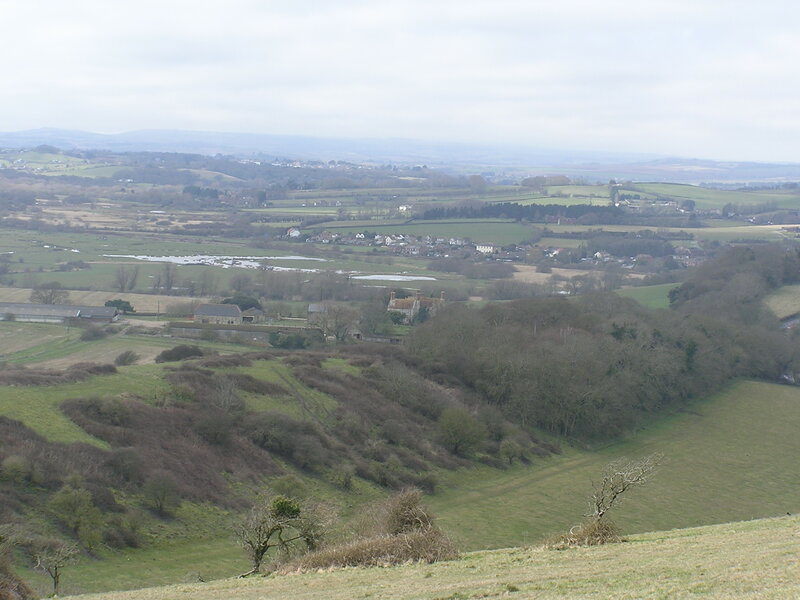 The male line at Yaverland died out in the reign of Edward I. Eleanor, daughter and heiress of Sir Thomas De Aula, married William Russell, who built the causeway connecting the ‘overland’ with Brading. It was a key moment in the history of East Wight: part of the Haven was thus enclosed, the first step in the process of reclamation that was to be completed in the nineteenth century. 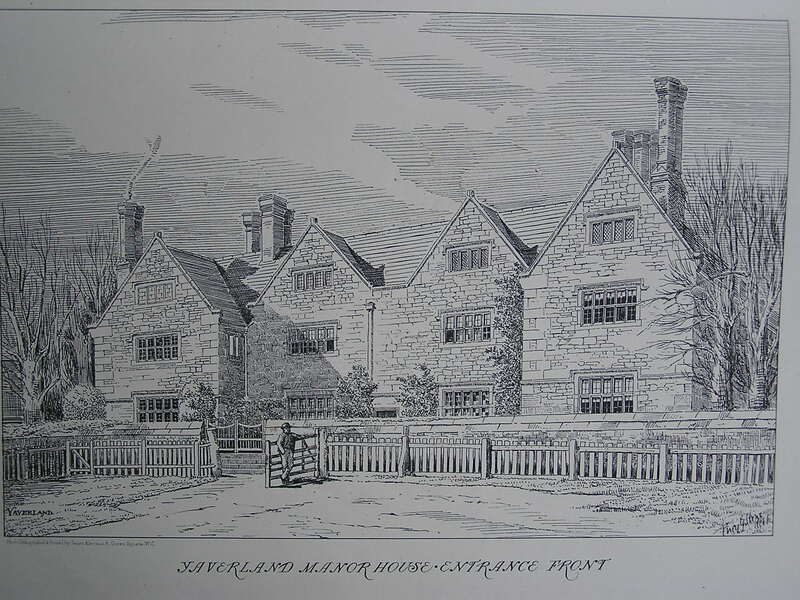 The Yaverland estate was sold by the Hatfields, descendants of the Russells, in 1553, and the manor-house rebuilt, in its present form, in 1620, on the six-foot-wide Norman footings. Mainly of Wight stone under a red-tile roof, it occupies a stupendous position and is one of the finest houses on the Island, a monument in its way to the Norman Conquest of England. The little chapel beside it, built by the De Aulas, is still used for services. Jhu have merci on Wylyam Howly’s sowl. Amen. MCCCCCXX. 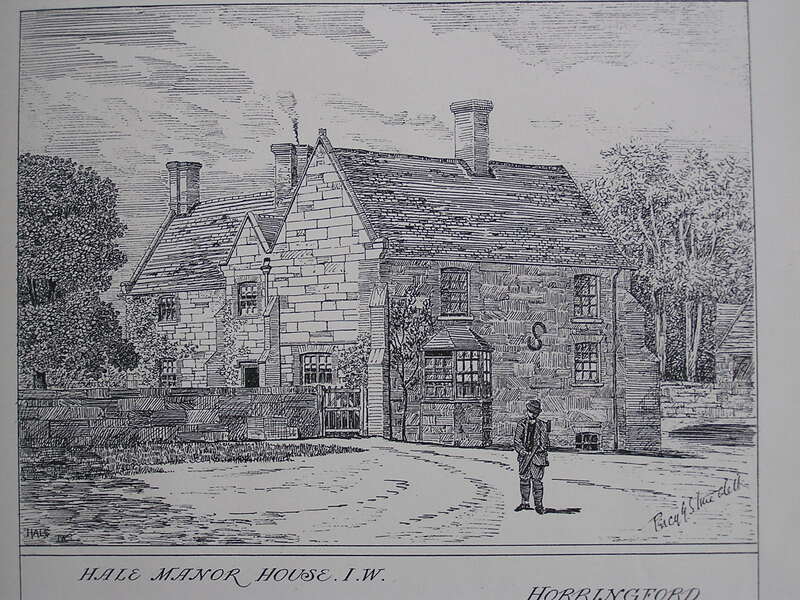 Harry Hawles is thought to have lived at Hale, the small, stone manor-house in the parish that in 1686 was occupied by the descendant of another prominent Norman family. 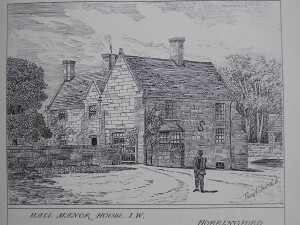 George Oglander had inherited the Oglander name and seal, but was mystified when asked, by visiting heralds, to explain his connection with the Nunwell branch. These people were by then deeply rooted in the soil, bastardising their names, conversing in the local speech and forgetful of their origins. It is a matter of regret that there are no ‘Howleys’ or ‘Hawles’ in the current phone book. One would be surprised, however, if they had not left a fair distribution of female-line descendants among the existing Island population. In the same way, the Norman colonisers have even infected the local speech. There is a pub at Brading called the Bugle, and another at Newport, which, during the Civil War, was the headquarters of the Parliamentary Commissioners, who included a debased Wavell. In the Island dialect, the word does not mean ‘trumpet’, but ‘steer’. 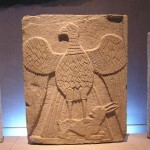 It derives from the Latin word buculus, and is yet another legacy of the Norman Conquest.